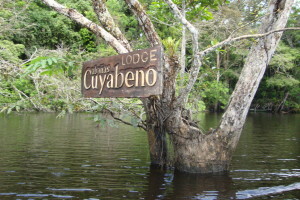 In case you want to visit the “real” jungle, in the Cuyabeno area, we recommend to add this tour at the beginning of one of the prescribed tours. Please take into account that the jungle tour (the day you fly to the jungle) can only start on Mondays, Thursdays or Fridays! 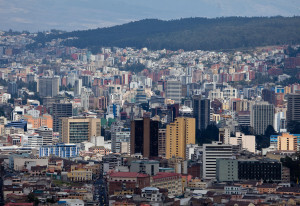 When you arrive to Quito you will be transferred to your hotel which is situated close to the airport. Here you will spend the night (breakfast included). 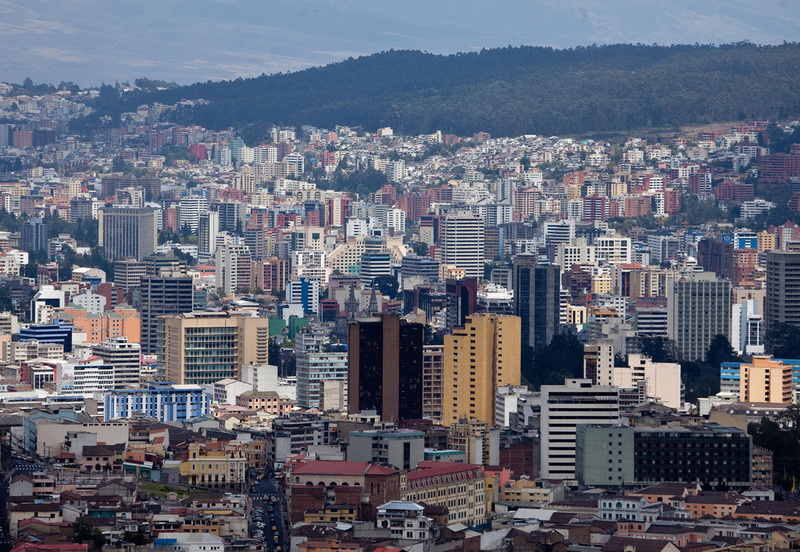 As the current airport of Quito is situated at least an hour’s drive from the hotels in the Mariscal (tourist) area of Quito, we recommend staying close to the airport. In case you want to, of course we can arrange a hotel in Quito as well. From your hotel you will be transferre to the airport of Quito from where you will fly to Lago Agrio. Here you will be picked up by someone from the lodge. From here you will continue by private transport to the entrance of the Cuyabeno Park (more or less a 3 hour journey). There is lunch included on the way. 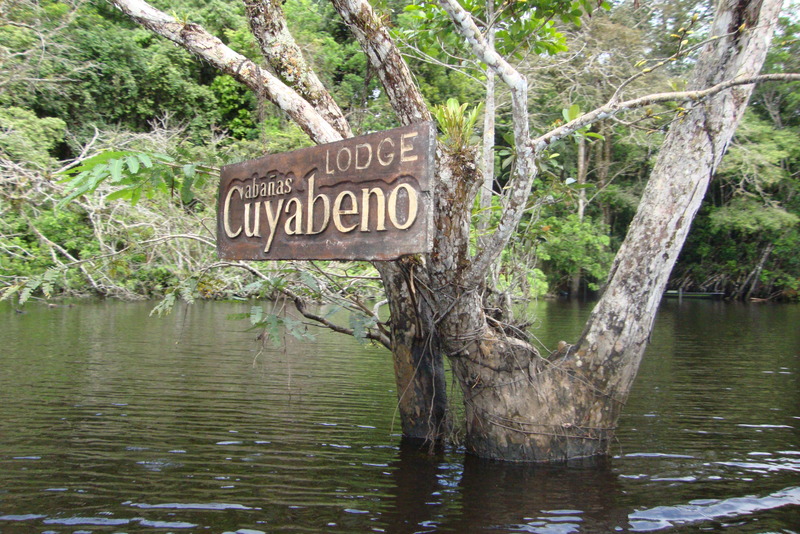 At El Puente, the entrance of the park, you will load your luggage onto a motorized canoe and follow the winding Cuyabeno River to the lodge. Our naturalist guide will give information about the Reserve, important recommendations and other tips. 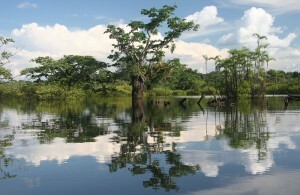 During the canoe ride you will get a first look at the jungle and will be able to observe different kinds of birds. You may also be able to see a variety of monkeys and other jungle animals, depending on the time and weather conditions. After a siesta at the lodge, you will leave the camp for a swim in the lagoon and to watch the beautiful sunset in the middle of the Laguna Grande, you will spend the night in bungalows with double beds and mosquito nets. After breakfast you will take a hike in the primary forest for 3 to 4 hours, where your guide will explain how the complex tropical ecosystem works. 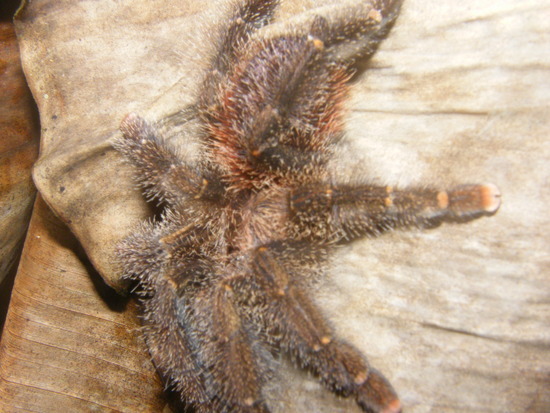 You will be able to learn about medicinal plants and you might see some exotic birds or monkeys. After lunch there will be time for a siesta. In the afternoon you will have a swim in the lagoon and watch the sunset. With a little luck you can observe the pink river dolphins or an anaconda sunbathing in a tree. 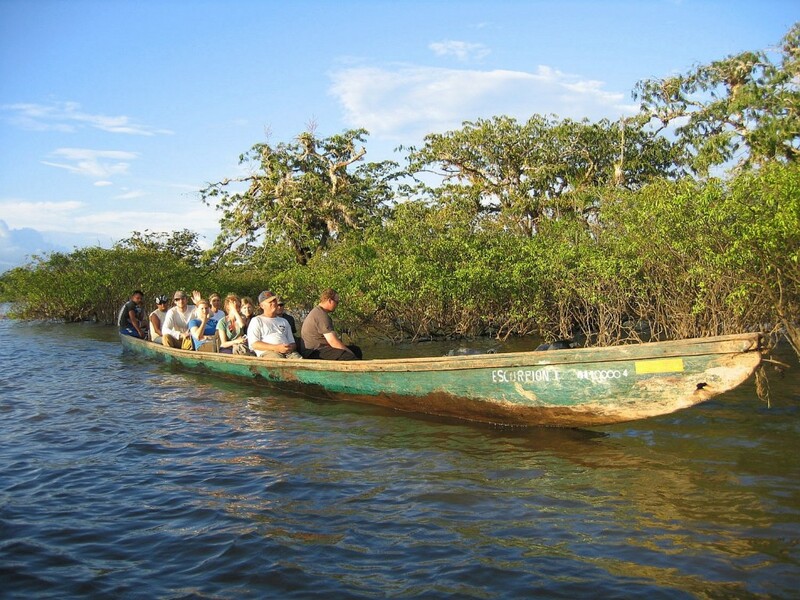 After dinner you will take a night canoe ride to look for caimans. There will be an optional early morning bird watching canoe ride at around 6 o’clock. 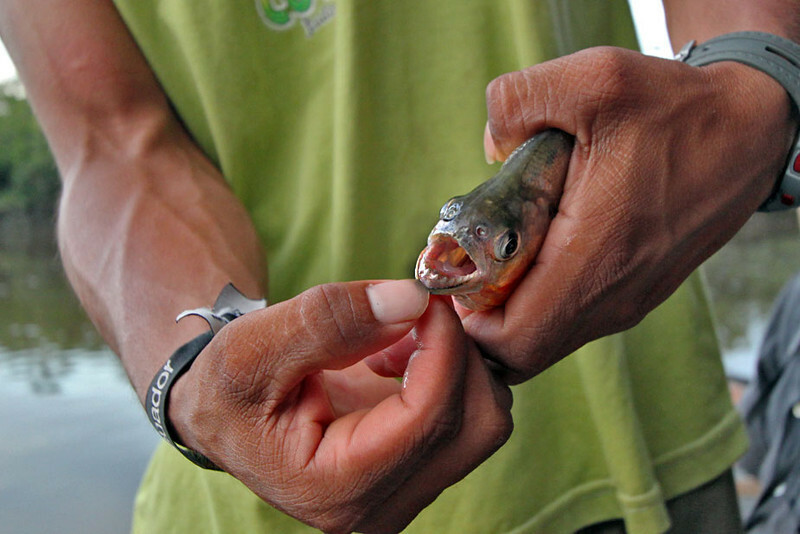 After breakfast you will depart to the Siona Community of Puerto Bolivar, the largest ethnic group in the Reserve. You will be part of the elaboration of the casabe; local dish made of yucca (carbohydrates are the principal food of the community), a visit to the Shaman is also included. He will explain some more about life in the jungle. The trip takes about one hour downstream to get there, on the way it will be possible to admire the existing fauna along the Rio Cuyabeno such as: birds, monkeys, snakes, pink dolphins, tortoises and many others. This is a full day excursion with lunch in the community. After that we return to the lodge to go for a night hike through the primary forest in search of insects, spiders, geckos and scorpions. We will also listen to the night sounds of the jungle. We will have dinner and spend the night in the lodge. 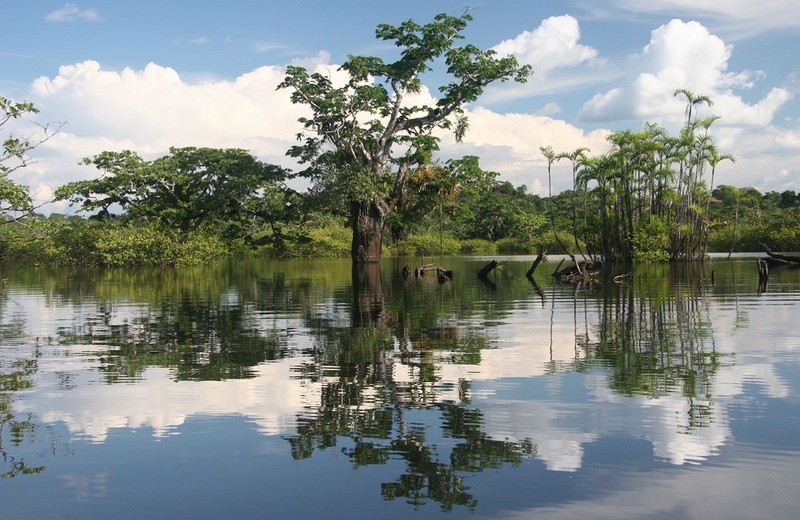 Today you will depart in native, dugout canoes to visit smaller lagoons such as Pato Cocha and Caimán Cocha. While paddling you will have a better opportunity to see more fauna and flora, and you can get a good idea of what an igapo (flooded) forest looks like. After breakfast you will take the motorized canoes to head back to the entrance of the Cuyabeno from where you will take private transport back to Lago Agrio from where you will fly back to Quito.